GUANGDONG LCLED LIGHTING CO., LTD.介绍|简介|概况-GUANGDONG LCLED LIGHTING CO., LTD.
Guang dong LCLED Lighting Co., Ltd. was established in 2010.It is a national high-tech enterprise specializing in R&D(research and development), production and sales of LED encapsulation products. Through the unremitting efforts of all LCLED people, the company successfully landed the NEEQ (stock abbreviation: LCLED Stock Code: 430654) in February 2014 and became the first new board listed company in the LED lighting industry in Jiangmen City. 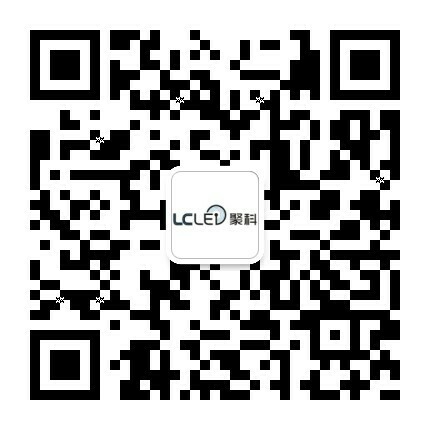 Through eight years of development, the LCLED brand enjoys high popularity and reputation in Led industry. LCLED has a complete team of technology, R&D, production, quality control and sales, as well as complete supporting R&D and production equipment. Has passed ISO9001: 2008 (quality), ISO14001: 2004 (environment), OHSAS18001: 2007 (occupational health) and other management system certification, LCLED SMD-LED / COB-LED passed the EN-62471, LM-80, RoHS, REACH and other testing, Obtained a safety production standardization certificate. The company has been engaged in technical cooperation and achievement industrialization with a number of universities for a long time. Through the unremitting efforts of the technical R&D team, the company hasobtained a large number of technological achievements and applied for nearly 200 national patents. More than 100 patents have been authorized. He has 6 patents has undertaken several national and provincial scientific research projects. In recent years, the company has successively won the qualification certification of Jiangmen Private Technology Enterprise, Jiangmen High-tech Enterprise, Guangdong Private Technology Enterprise, Intellectual Property Demonstration Enterprise, and National High-tech Enterprise, and has been rated as Guangdong Province's “Contract-Reliable Enterprise” for many consecutive years. , And won the municipal science and technology award for many years. In November 2015, it was recognized as "Guang dong Home Furnishing lighting LED Engineering Technology Research Center" by the Guang dong Provincial Department of Science and Technology and obtained the qualification of Guang dong Science and Technology Commissioner workstation construction. In 2016, it was recognized by the Jiangmen Science and Technology Bureau as “Jiangmen Engineering Technology Research Center in Guang dong Province” and was qualified for the construction of a science and technology commissioner workstation in Jiangmen City. good after-sales service,LCLED has become a leader in the LED packaging industry. the company's technological innovation and product upgrades; to provide market with more safer and more reliable products, to provide customers with more practical and more effective technical solutions.